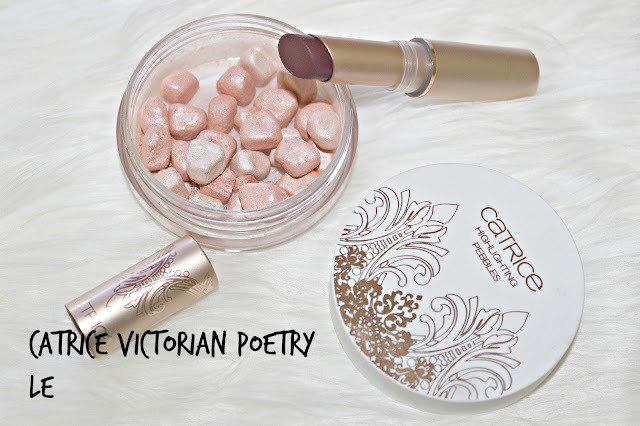 I`m here again with another beauty post, this time I will talk about catrice victorian poetry limited edition, which you can still find it in our drugstores. Since essence and catrice are releasing a bunch of cute limited editions, I decided to write about my favourite ones, and victorian poetry is so nice and gorgeous, all of the products look they are high end. Since the preview I wanted highlighting pebbles the most, and then I received them as PR material from our lovely team dominur, the package also included darker lipstick. So, let`s get started with the review. These pebbles are the star of the collection for me. They look so gorgeous and the packaging is so nice. They came in a plastic pot, which it won`t break if you accidentaly drop it on the floor. 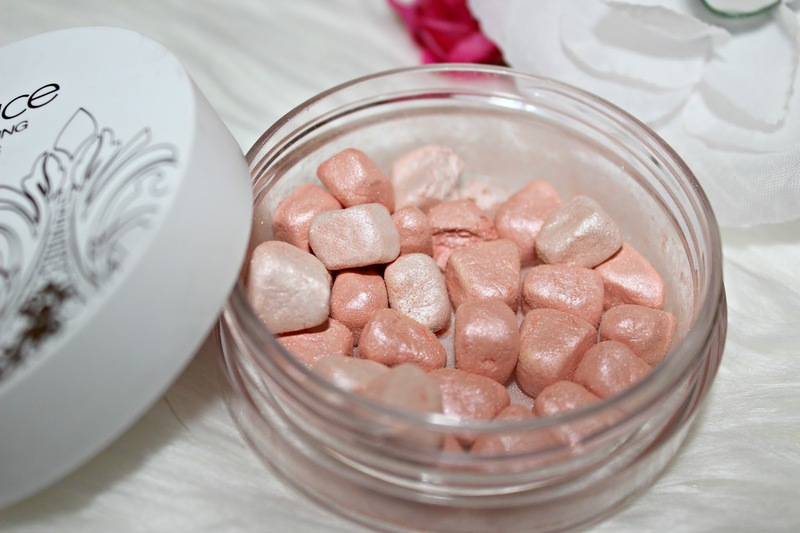 They look like tiny rocks in shimmery baby pink and white colour. I always use a kabuki brush or a fan brush when applying to the face. They contain glitter, which you may know I love. But luckily they are not too big, so you won`t look like a disco ball after applying. Because I love everything sparkly and shimmery I tried it out immidiately on my hands. They apply really easy, you just need a one good swipe with your favourite brush. I apply them on my forehead, on my nose, on my cheekbones and on my chin. These highlighting pebbles are with no doubt a special piece in my highlighter collection, beacuse I mostly own powder and few liquid highlighters, so this one has a special place in my collection. Did I already told you about these adorable packagings ? Just take a look at this gorgeous lipstick. I just stare for few minutes looking this gorgeous metallic gold packaging with elegant writing. This lipstick look so high end and luxurious. 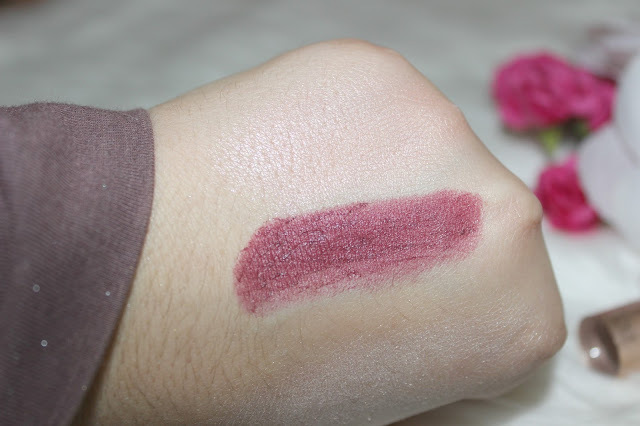 I get darker shade, called berry british, which is deep berry shade, which I`m not used to wear, but I give it a chance. 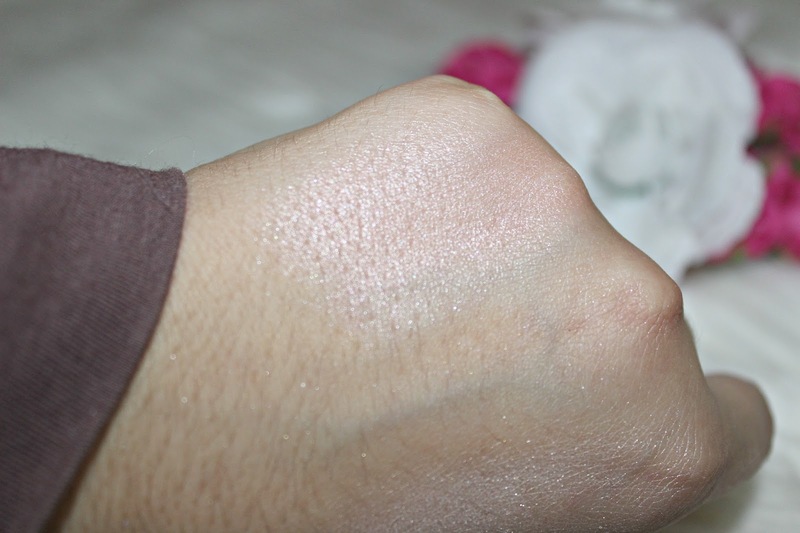 It applies so nice and easy, even the pigmentation is quite good for darker lipsticks. 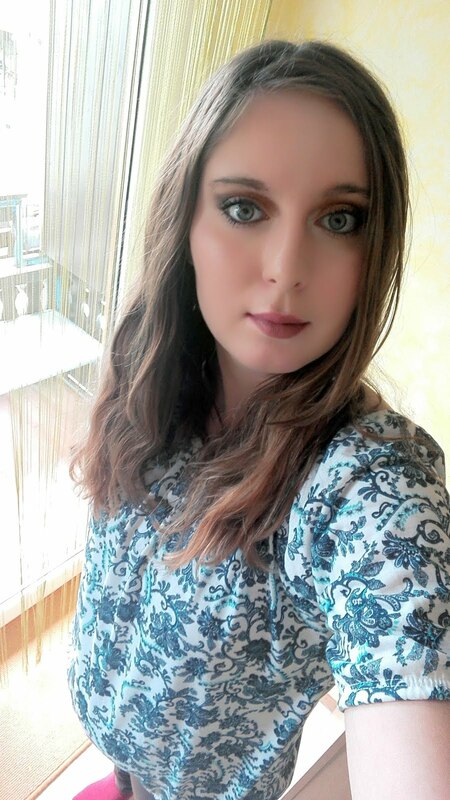 I applied three coats and the lipstick looked gorgeous on my lips and give me a gorgeous vampy look. 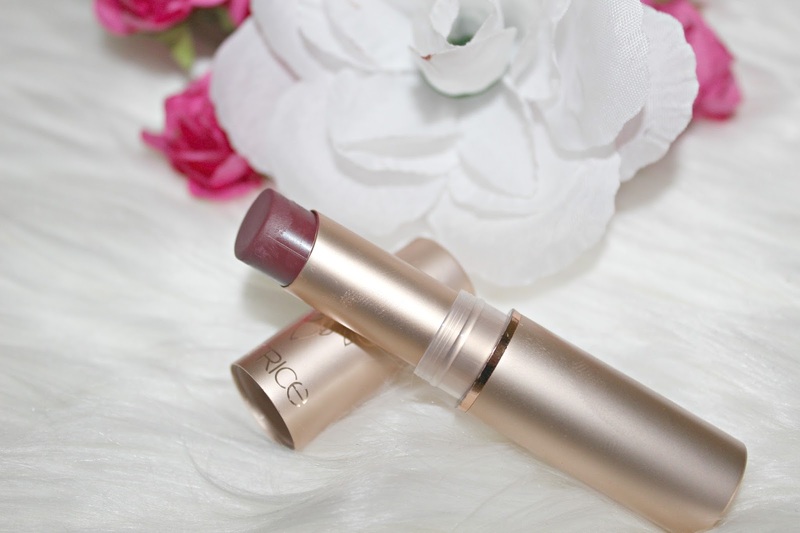 Also it glides nice on my lips, and formula doesn`t dry out my dry and chapped lips. The lasting power is also very good, but it starts fading when you eat or drink something. I recommend this lipstick for those who really love darker vampy shade on their lips and also want a lipstick with gorgeous slim gold packaging. So we came on the end of this review. 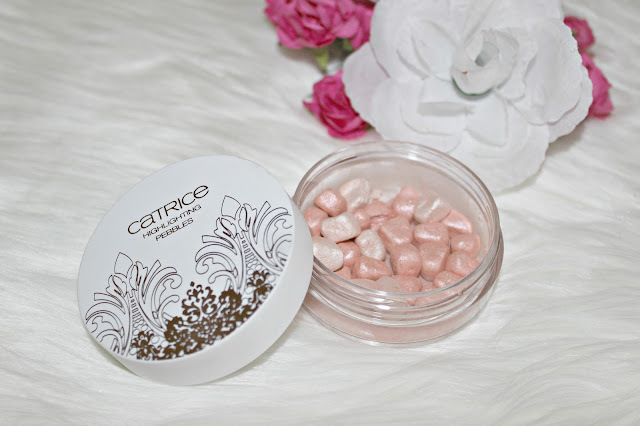 I can say i like both products, pebbles are so amazing and give a nice glow to your face, so if you looking a bit different highlighter just go for it. 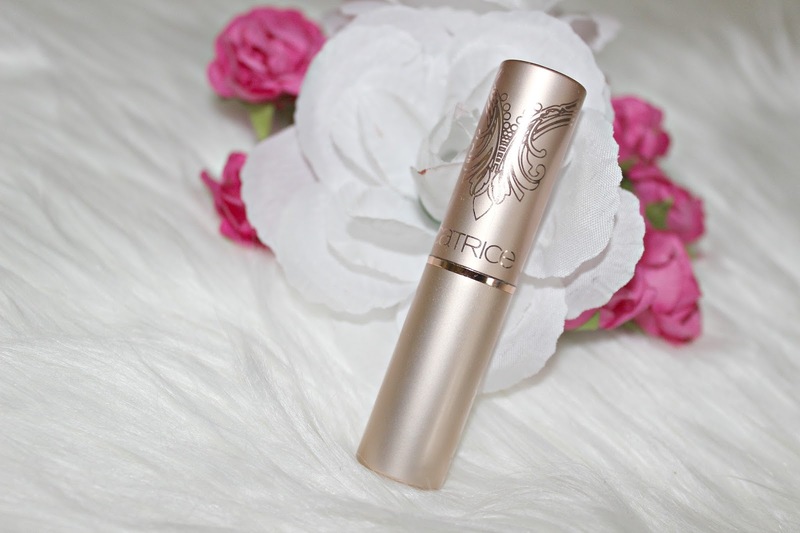 I also like the lipstick, it`s nicely pigmented and you should buy it just because of the packaging! You can still find this limited edition in dm drugstores. So, did you try anything from this limited edition? Leet me know in the comments down below, I appreciate everyone of them.